Sharpening your knowledge and skills is vital to becoming a CNA and continuing to be successful in the position. CNAfreetraining.com aims to assist our users in maintaining and growing their careers in all of the following areas. The role of a certified nursing assistant (CNA) encompasses many varying aspects of healthcare. As a CNA, you may assist patients with day-to-day tasks they cannot easily complete on their own, provide basic care, take and record vital signs and assist other healthcare professionals involved in the management and care of the patients you serve. The CNA maintains a high level of personal contact with patients, making the CNA role one of central importance. As a key member of the healthcare team, the quality of your CNA training material directly impacts how well you carry out your role as a CNA. As a CNA, it is your responsibility to keep patients safe and comfortable. You may function in this capacity during a patient’s hospital stay, in a long-term care facility, hospice or in the patient’s own home. Your work in this area involves training to minimize fall risks, adapt the environment to a patient’s needs, care for a patient’s skin to prevent skin breaks, assist in pain management and infection control. To support you in successfully passing the CNA test, we provide extensive training in residents’ care. In this role, you combine restorative and psychological skills with compassionate personal care techniques. Additionally, you are trained to properly record patient information and to communicate your findings to medical staff in a professional manner. This is especially important to ensure correct communications regarding critical patient issues which can impact the patient’s well-being and the general course of treatment. Working with patients requiring specialized care involves utilizing all the skills used for traditional patient care, in addition to specialized skills required for a patient’s specific needs. Specialized care may be psychological in nature, physiological or a combination of the two areas of practice. CNAs providing specialized care should receive extra training in focus areas and should function as a highly skilled member of the caregiving team. In the role of CNA, you must know how to take a patient’s blood pressure, monitor respiration rates, transfer a patient properly and various other clinical skills. In order to pass the test and qualify as a CNA, your training should walk you through the proper steps and help you practice necessary clinical skills until you reach a level of clinical skills mastery. Thorough explanations and clearly developed checklists make it convenient to remember the required points and easily assess your progress as you move through the material. One of the best ways to pass the CNA exam is to be well prepared. We provide extensive practice exams so you know what to exact when you sit for the actual CNA test. The practice exams build your confidence while showing you where to devote your study time to make it count most. 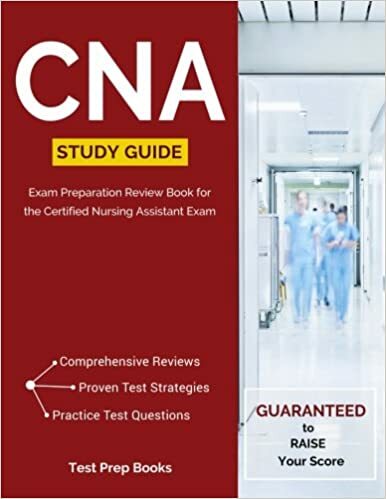 While the questions on the practice exams are not identical to the questions on the actual CNA test, the practice exams cover everything you need to know to walk away from the test with a passing score.